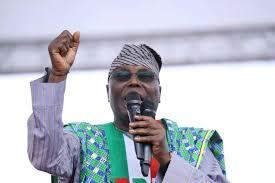 (News Investigators) /The Atiku Presidential Campaign Organisation has assured delegates to the forthcoming convention of the People’s Democratic Party (PDP) that the former Vice President will not let them down if chosen as the Presidential candidate of the party. The letter was signed by Segun Showunmi, the Director of Media and Publicity of the Atiku Presidential Campaign Organisation. The PDP primaries have been scheduled to hold from Oct.5 to Oct. 6. Mr. Showunmi urged the delegates to support Atiku Abubakar in his bid for the nation’s highest office by voting for him in the presidential primaries. Mr. Showunmi said: Atiku ‘’ is the aspirant of choice, and by the Divine Grace of God, he will become the PDP candidate of choice in a few days, but none of this can be achieved without you.